FLORENCE, S.C. – The Greater Florence Chamber of Commerce held a ribbon-cutting ceremony Monday for Family Heritage Life Insurance Company at the Chamber office in downtown Florence. Family Heritage Life Insurance Company of America is a wholly owned subsidiary of Torchmark Corporation and provides supplemental health and life insurance to its clients. Family Heritage Life is licensed in 49 states and serves thousands of American families across the nation. 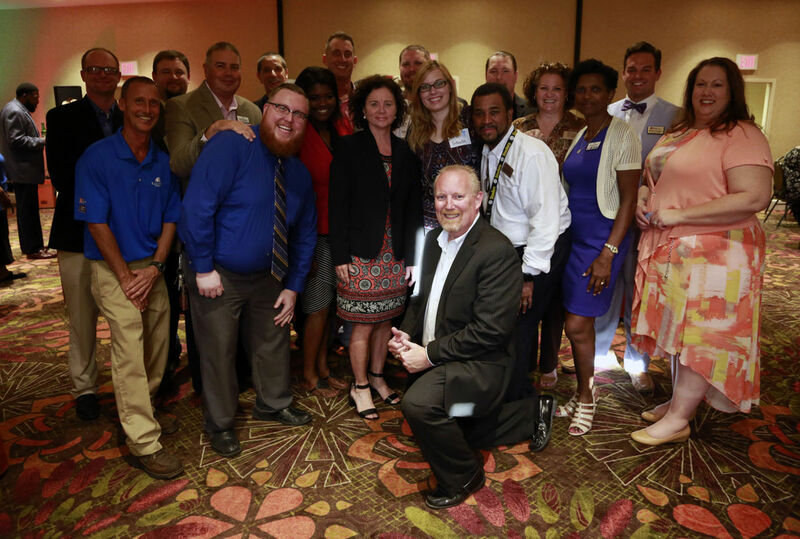 It has received numerous awards for outstanding customer service and community outreach. 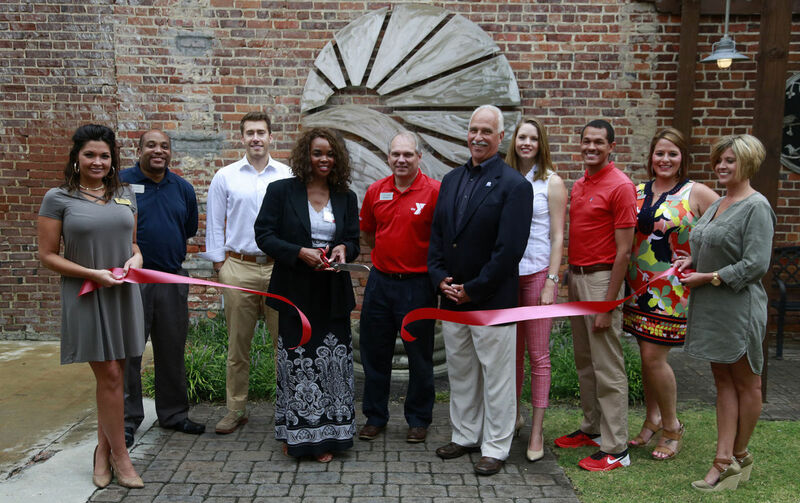 Gina Gilliard, an insurance agent for Heritage Family Life, had the honor of cutting the ribbon during the ceremony. As a Pee Dee native, Gilliard said she is excited to bring Family Heritage Life into the Florence community. The City of Florence has done it again! 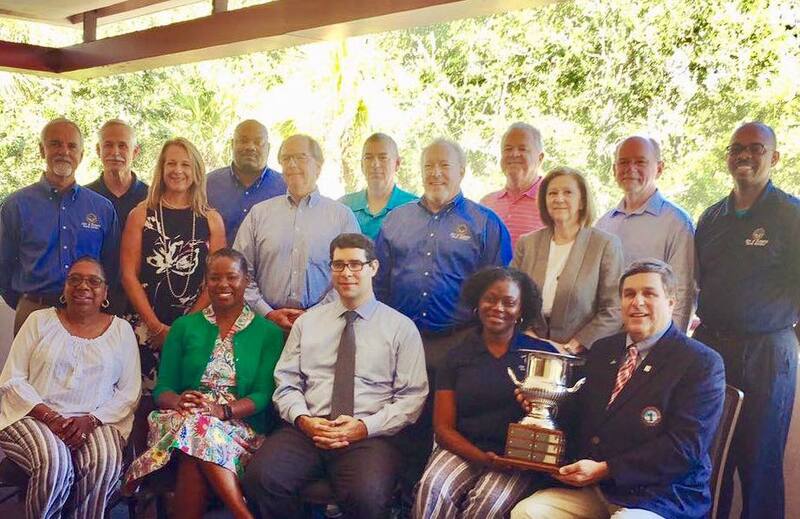 Let’s all celebrate the fifth consecutive Municipal Association of South Carolina Achievement Award for superior and innovative efforts in local government. Congrats to our city leadership team. 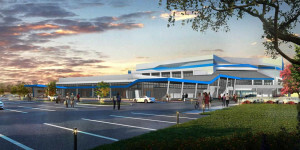 FLORENCE, SC (WMBF) – The Florence Civic Center is expanding its footprint for the first time since it was built in 1993. The 60,000-square-foot venue is considered the largest convention, entertainment and exhibition facility in northeast South Carolina. 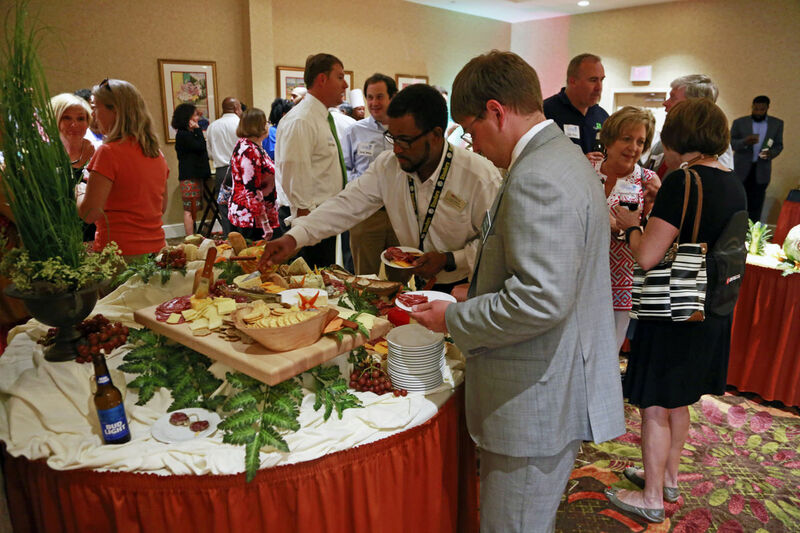 The new expansion is allowing Florence to recruit even more big-named conferences and conventions, bringing in more dollars to the Pee Dee. 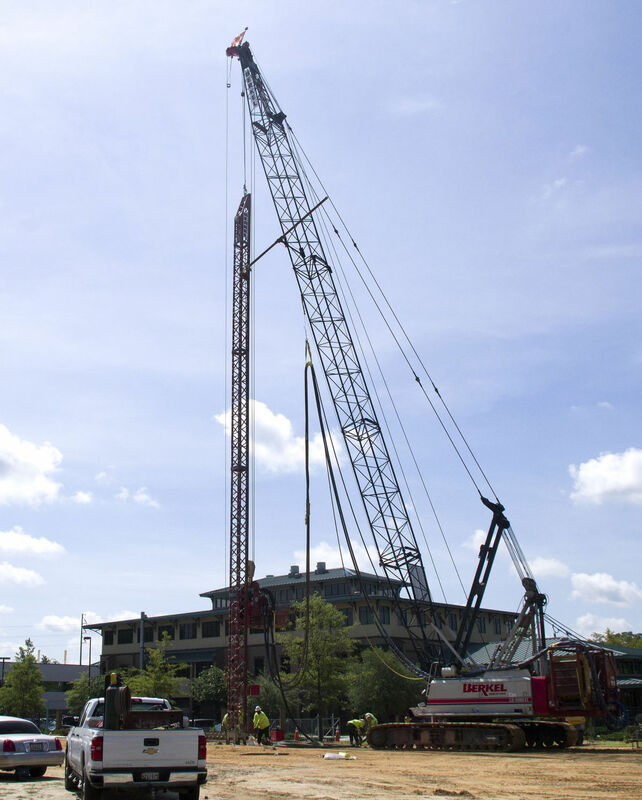 The progress and milestone of the expansion was celebrated during a construction topping-off ceremony held Thursday morning. Beard said Florence County’s growth meant an expansion was due. The civic center can soon show off 10 breakout rooms, a junior and grand ballroom that fits nearly 2,000 people and a 10,000-seat arena. The facility is set apart because it can host conferences, conventions, trade shows, expos and sporting events. Beard said the civic center was losing a number of the conferences that surrounding cities were able to recruit. Soon, it can do the same. “We have to remember what happened out here first. 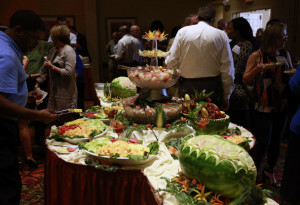 It’s given promise and hope for a lot of areas and there is an even greater impact of what’s yet to come with this expansion,” said Mike Miller, president of the Greater Florence Chamber of Commerce. The economic growth from the Interstate 20 and Interstate 95 corridor has also proven to be an impact on the entire area. “It did all happen here and years ago, when the city and county voted to build this, it was four to three. That’s how close it came to not build this initially,” said Buddy Brand, Florence mayor pro tem. It’s a risk that is clearly worth taking today. Brand noted that both councils unanimously agreed to the project, pointing to the partnership between the city and county of Florence that has grown stronger since the vision began 25 years ago. Yokim said the city of Florence will fund it with food and beverage taxes, and he said a lot of that comes from tourists. The civic center is still operating and hosting events as normal throughout the rest of the construction. The expansion is on schedule to open up its doors by early 2018. 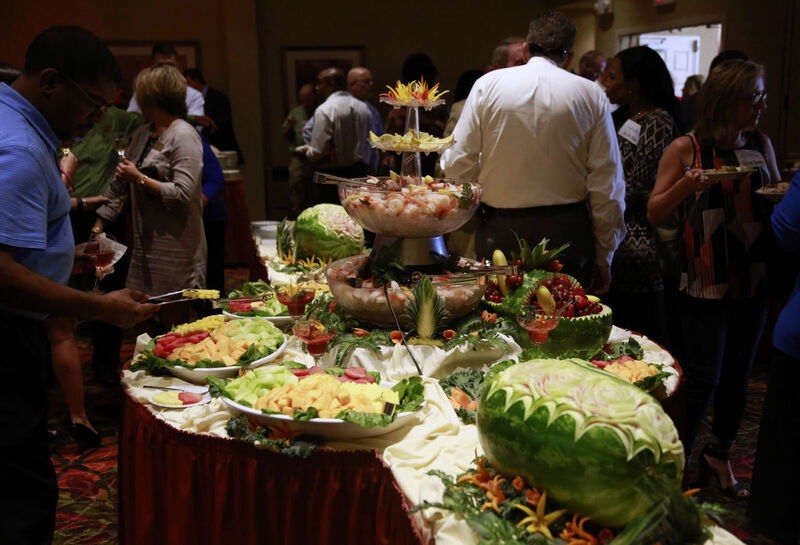 FLORENCE, S.C. – More than 50 people attended the Greater Florence Chamber of Commerce’s PRISM Expo & Business After Hours event on Thursday evening. The event was held at Reflection Images at 157 W. Evans St. from 5:30 p.m. to 7 p.m. Approximately 15 local companies including SC Works, Edward Jones Investments, ScienceSouth and Coker College set up booths for the event to promote their business and network with other community leaders. The PRISM (Promoting the Inclusion of Small and Minority Businesses) Expo doubled as a Business After Hours event for Reflection Images, a professional photography studio in downtown Florence. 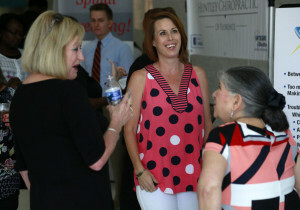 Les Echols, director of community and minority enterprise for the chamber, said the idea to combine the two events into one was helpful for both the chamber and all of the businesses who participated. 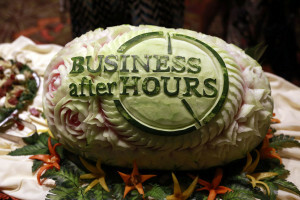 Business owners and ambassadors were able to put their companies on display and network with other local business leaders. Echols said events such as these help promote small businesses in the area, which will help Florence keep moving in a positive direction. 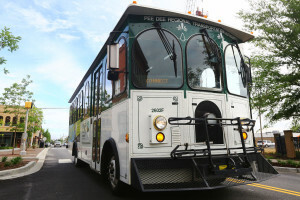 The Pee Dee Regional Transportation Authority announced “Downtown Connect” on Monday morning; a free shuttle that runs between major attractions in downtown Florence and hotels near the Florence Civic Center. 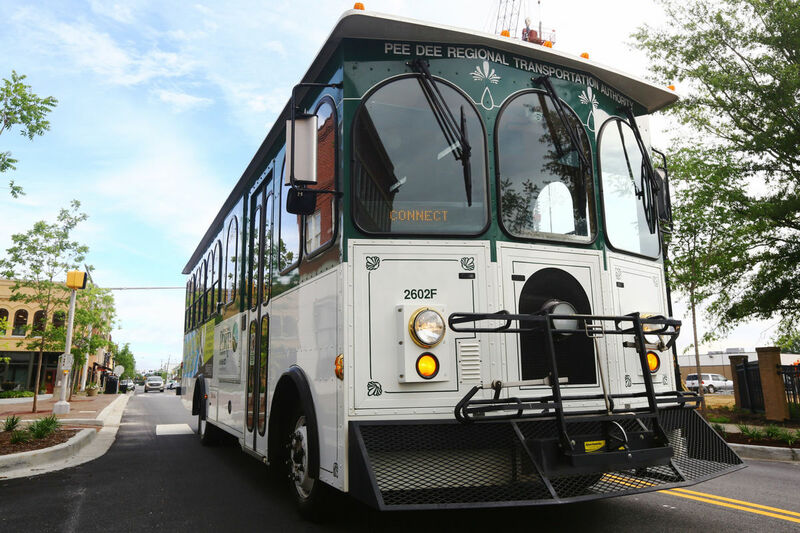 This shuttle is free and will run non-stop every 30 minute from downtown to eight hotels along Hospitality and Radio Drives. Many of the hotels near the Civic Center operate a high capacity year round due to close proximity to two interstates, as wells chain brand restaurants and shopping centers. Officials said this service will provide those visitors easy access to Florence’s unique downtown. FLORENCE, S.C. – With approximately 700 employees and a nearly 500,000-square-foot facility, Otis Elevator in Florence is one of the largest employers in the Pee Dee region and one of the top manufacturers in the state. Despite an already stellar presence and rapid local growth, Otis officials say more growth is coming for the Florence site. Details weren’t available on what exactly a facility expansion would entail or when it could happen, but Selleck told the Florence Rotary Club on Monday that the Florence plant is moving toward adding escalator production to its repertoire. An approach that’s helped Otis in Florence become an economic powerhouse, not only locally but internationally, is diversity. Otis in Florence produces a variety of full elevator systems, including hydraulic and belt-drive models. Many of the materials produced in Florence are energy conserving and compact to minimize the environmental impact. Approximately five years ago, Otis purchased the old Maytag facility that sits on 92 acres northwest of Interstate 95 at U.S. 52. The initial investment was $40 million with 360 jobs. FLORENCE, S.C. – Ruiz Foods executives announced the details of a $79 million plant expansion on Tuesday morning during a “fiesta” at their Florence facility at 2557 Florence Harllee Blvd. The expansion will include the addition of three production lines as well as added warehouse and office space. The construction of the production lines will double the facility’s current capacity and add 705 jobs over the next seven years, according to Ruiz Foods President and CEO Rachel Cullen. 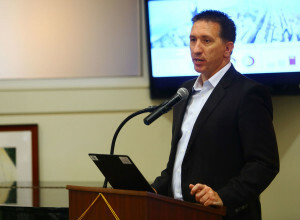 Cullen said Ruiz Foods plans to break ground on the expansion this fall. 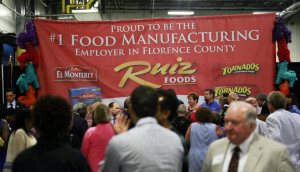 The expansion announcement comes three years almost to the day that Ruiz Foods held its grand opening in Florence on July 15, 2014. The company moved to Florence after acquiring the former H.J. Heinz facility and currently employs more than 500 people. Keith White, maintenance manager at Ruiz Foods, worked for Heinz when Ruiz Foods bought the site and was one of the first people to be employed at the new plant. White said he is surprised how quickly the company has grown, and he is happy to be a part of the Ruiz Foods team. 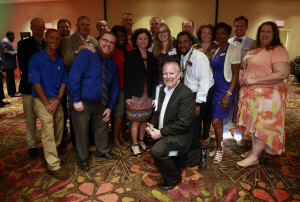 White and several other Ruiz Foods employees were recognized by Cullen during the expansion celebration. Cullen was one of the distinguished guests who spoke during event, including South Carolina Gov. Henry McMaster, S.C. Senate President Pro Tempore Hugh K. Leatherman and Ruiz Foods Chairman Kim Ruiz Beck. Beck is a member of the third generation of the Ruiz Foods family who talked about the company’s humble beginnings in 1964. Ruiz Foods was founded by Beck’s father and grandfather. They produced 40 pounds of food each day out of their home. Now, the company employees more than 3,600 people in three states and can produce 40 pounds of food in six seconds. Beck grew emotional as she acknowledged her father, Fred Ruiz, during the expansion celebration, saying she feels immense pride when she reflects on all the company has accomplished and the decision to build a plant in Florence. El Monterey is the flagship frozen Mexican food brand for Ruiz Foods and the top-selling brand of frozen Mexican food in the nation. Tornados, also distributed nationally, is the company’s snack brand and a leader on convenience store roller grills. While producing Mexican cuisine, Ruiz Foods also concentrates on public service and contributing to surrounding communities. In the Florence area, programs such as Ruiz 4 Kids and Ruiz Cares allow the company to support local residents. During its expansion celebration, Beck and Ruiz Foods announced the donation of $100,000 to McLeod Regional Medical Center to benefit its child life center. FLORENCE, S.C. — Phase II of the HopeHealth Medical Plaza in Florence will open its doors to patients July 17. Moving dates for services to move from the HopeHealth offices on Palmetto Street to the new facilities on North Irby Street are scheduled for July 13, 14, and 15. During the move, there will be no disruption to services in Phase I of the Medical Plaza or for behavioral health services at the Palmetto Street office. Patients needing prompt assistance should call 843-667-9414 and speak to the answering service. The second phase of construction adds an additional 40,000-plus square feet to the Medical Plaza including conference rooms and classroom areas for the HopeHealth Diabetes and Nutrition Center, as well as expanded spaces for pediatrics and women’s health services already at the plaza. 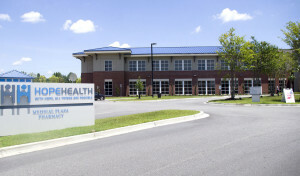 Services relocating from the Palmetto Street offices include chiropractic services, pain management, infectious diseases, and dental. In addition, CARE House of the Pee Dee, a children’s advocacy center, will relocate from Patton Drive, Florence, to offices adjacent to pediatrics and a new meditation garden. 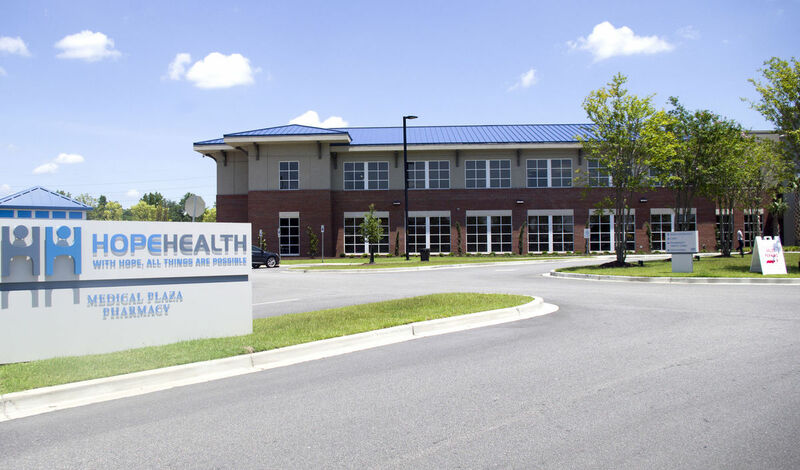 HopeHealth is one of 21 nonprofit, federally-qualified health centers in South Carolina and provides quality and affordable health care services to individuals in Florence, Clarendon, and Williamsburg Counties. FLORENCE, S.C. – Construction on the $15 million, five-story, 103-room Hyatt Place hotel in downtown Florence is finally underway. The project will take between a year and 16 months to complete, depending on weather conditions. A grand opening is expected sometime in 2018. 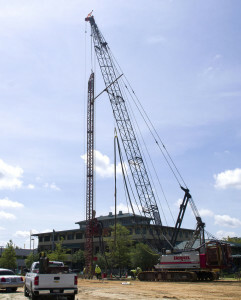 Griffin said there won’t be any road closings downtown during the hotel’s construction. The hotel is being developed by SpringBridge Development and will be managed by Raines Hospitality, a locally owned group that manages several hotels throughout Florence. The new hotel is expected to create 30 jobs by the time it opens in the first quarter of 2018. It will feature around-the-clock food service, a bar and an outdoor pool as well as 1,250 square feet of meeting space with an outdoor terrace. The project was announced more than a year ago, though it was known under code name “Project Tulip” months before it was publicly revealed. The Greater Florence Chamber of Commerce sponsored a Business After Hours event for Raldex Hospitality on Thursday evening at the Hilton Garden Inn. More than 100 business leaders and community members attended the event, featuring food, drinks, live music and various door prizes including a 50-inch television.